Could the PlayStation 5 arrive next year? For all its improvements over the PlayStation 4, the PlayStation 4 Pro hasn’t exactly set the gaming world on fire. Things are looking even more troubling for Sony, after recent specs and early previews revealed Microsoft’s own mid-gen refresh, the Scorpio, could be closer to an entirely new console generation, and certainly quite a jump over the PS4 Pro. So, could Sony fight back with an early release of the PlayStation 5? That’s what one analyst thinks. Even though it’s only been less than 5 years since the launch of the PlayStation 4, Macquarie Capital Securities analyst Damian Thong believes the PlayStation 5 will be here sometime during the second half of next year. It may sound like an outlandish claim, but this is the same person who correctly predicted both the PS4 Slim and PS4 Pro. Thong never offered any predictions about the console other than its release date. A lot can change in 18 months, but a machine with a focus on 4K graphics and high framerates, and one that’s more powerful than Scorpio seems like a given. And with the PlayStation 4 Pro having just been released in November, backward compatibility would likely be a feature of the PS5. All of this is, of course, speculation, but there seems to be an excitement around Scorpio that was never present during the run up to the PlayStation 4 Pro's launch. Sony is reported to have sold almost twice as many PS4s compared to the Xbox One since the consoles were released, but fear that Scorpio will give Microsoft the upper hand in the console wars could encourage Sony to expedite the PS5’s arrival. I hope not, I just upgraded to a Pro on launch from my launch OG PS4. If so Im sticking with my PC. Nope dont see a PS5 on the cards until atleast 2020. Lets just see if Scorpio even does what it says on the tin because lets face it, gaming at 4K, at around 60fps, in any kind of GPU/CPU intensive game, requires 2 state of the art GPUs running in SLI/Crossfire. If Scorpio does perform as advertised expect it to cost £800-£1000. Humza, Burty117, Theinsanegamer and 3 others like this. They are trying to keep up with PC gaming but its not going to happen. Either make the CPU, HDD and GPU somehow someway upgradeable for your average user, or let the console run its course. Theinsanegamer, psycros and andy06shake like this. Either make the CPU, HDD and GPU somehow someway upgradeable for you average user, or let your console run its course. Another issue that is still somewhat of an problem regrading console gaming at 4K is the cost of 4KTVs that are capable of doing the job. Theinsanegamer, Reehahs and psycros like this. 4K HDTV's are affordable now, well, better then they were, my issue with 4K gaming has to do output. Sure, a console can run a game at 4K and that will be the big selling point '4K Gaming on the Scorpio everyone, come buy it now!!' But how well will it run it? Medium settings? No AA/AF/MSAA/TXAA? Dynamic Range/Lighting enabled? What FPS? In short, at what cost? ZackL04, andy06shake, Theinsanegamer and 2 others like this. I'm officially checked out of this console generation. It seems that neither Microsoft or Sony know what they're doing with their hardware. PS1 was solid and had a clear life cycle. PS2 was solid and had a clear life cycle. PS3 never lived up to its hype but it had a clear life cycle. PS4 has excellent marketing and no clear life cycle. PS4 Pro also has excellent marketing and no clear life cycle. Going to stick with PC until they can figure out something more compelling than unit sales. BlueDrake, andy06shake, Theinsanegamer and 2 others like this. I hope they would update it and add 4k-BD. I am really planning to buy one one using my rewards card or else Im going to Switch. This is as exciting as watching paint dry, so much so that I'm gonna reach for the Valium now. If its backwards compatible with all PS4 titles then hell yes bring it on but I'm guessing 2019.
liammac002, MonkeyBoyX8000 and psycros like this. We`re not there just yet with 4K gaming, it would be better to just get on with 1080/60 with this generation, games are excellent, we dont need 4K. I`m fine with graphics as it is now. milostuvic and gingerbill like this. 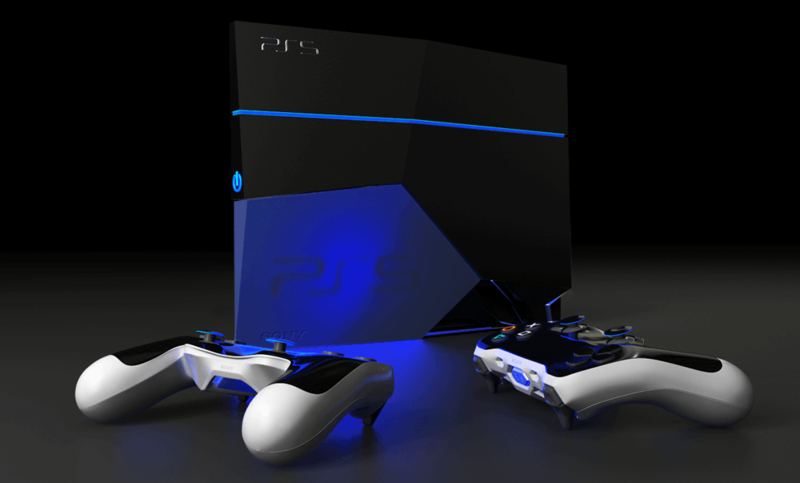 I highly HIGHLY doubt we will see a PS5 next year. PS4 has not even peaked and there would be a whole lot of Pro users extremely pissed off feeling that Sony scammed them out of their money. Isn't going to happen. I'll lay money on it. EDIT: And by peaked, I am not referring to sales. I'm talking about games that squeeze every ounce of juice from the hardware. gingerbill, Theinsanegamer, Reehahs and 1 other person like this. I think some keep missing the point of why Sony would even consider bringing the PS5 out. It ain't money, it's about being the best and being recognized. Lets face it, MS virtually owns the 2 biggest things, a OS and software that the world relies on. Sony offers no such thing. Sony doesn't want MS to get the upper hand at all because it takes away from them being recognized as the once sole leader of console gaming. Ever since MS decided to do console gaming, it's made Sony step up but in all honesty Sony can only do so much and at the end of the day, they can't and wont beat MS. Why, cause MS can do a lot more than Sony. When the console war is over which will likely be in a few years from now, MS have the OS, hardware, money and own the software to make the true next gen device, oh wait they already do, it's called a computer. Now over the next 5-10+ years maybe a computer we know it may change and evolve into something else which I think will happen but it's still something MS can do, Sony cannot. Consoles will be a thing of the past in the next 10-15 years, if not sooner. Computers have always been and always will be the future, as I said though, it will likely evolve but consoles wont/can't. Consoles will become just like a tablet, can only do so much then the big boy comes out, it's called a computer. You do know that a single 1080 ti can do 4K @60fps? That's been proven. A 1080 can do it but not consistently. It will have dips or have to lower other things to make it stable at 4K which defeats the whole purpose of gaming at 4K. Will a console do it, at 4K/60, not likely unless MS have found away or decided to use a 1080 ti, which they haven't to anyone's knowledge. I am not aware of MS claiming it can do 4K gaming at 60fps, all I have ever heard was that it can do 4K. In June all of this will likely get cleared up anyways. We will all know what it's like and what it can do. Sony recently announced they made a sh!tload of money from PS4 sales and Neo hasn`t even peaked yet. Most people still use 1080 as standard and it`s hardly going to dramatically change by next year, even if 4k becomes more and more affordable. They`ll only antagonize PS4 Neo buyers who theoretically would have been the only PS5 buyers. And of course, in terms of games we have not yet seen the full potential of this generation (I feel some framerate issues in some games were just bad coding), so whatever this guy predicted it doesn`t make any sense. gingerbill, Burty117, Theinsanegamer and 2 others like this. Like you say the constancy is the issue and anything under 60fps is just not going to be acceptable to people. Then there are the thermal issues associated with such workload to contend with. Its not like consoles can enjoy the luxury of a full tower case with multiple fans and water cooling solutions to meet the demand. Yes better than they were but still dam costly if you are after anything 50" or larger, and even then a lot of them have other issues to contend with associated with gaming at such resolution. Granted they are getting better but cost is still a factor to consider. Most console players, especially the die hard ones, will settle for 4K/30. "Muh 60 frames!" is exclusive to the PC crowd for all practical purposes. The bulk of the console market is happy with 30FPS. If they weren't, we'd be talking about consoles hitting 120 because of standardized 60. Godel and Burty117 like this. You do know that a single 1080 ti can do 4K @60fps? .. Define 'can do 60 FPS'. I think we are making different points. There are some games even a 1080Ti can't max out at 4K, hit over 30FPS, or struggle to keep a consistent 60. A $50 5770 on ebay can support and run 1600p but for many games at high settings it will be a slide show. So...it can't 'really' run it. A 1080 can do it but not consistently. It will have dips or have to lower other things to make it stable at 4K which defeats the whole purpose of gaming at 4K..
4K is great and all but what settings will they be able to comfortably use to make 4K run well? There is the ability to run 4K, then the ability to run it properly. I am sure you and I are on agreement with that. gingerbill, andy06shake and Reehahs like this. gingerbill and Burty117 like this. If you buy one of these "4k consoles" or a more capable/more expensive gaming pc and cant afford the 4k display to match, well the you may need to check your priorities. 2020?? - You're dreaming. It would be suicide for Sony to wait that long.